I have a great comparison post for you. Neither of these polishes is easy to find; but both are quite beautiful. 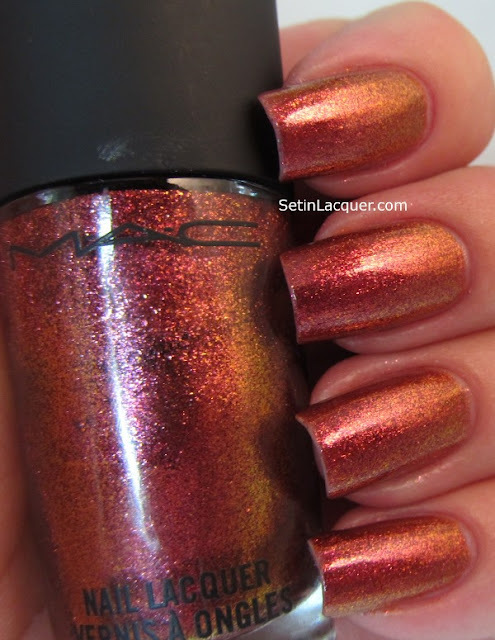 MAC Bad Fairy and Nails Inc New Burlington Place are gorgeous, metallic, duochrome polishes. They shift from a deep orange/copper to a dusty pink. The swatches below are with two coats of each. Nails Inc New Burlington Place covered better on the first coat. There is no top coat on either of the polishes. Bad Fairy may be just a slight bit darker - but not by much. The similarities extend to the finish too. Both polishes have a super shimmer to them. What do you think? Are they close enough to be dupes? These polishes are from my personal collection. They were not sent to me for review. 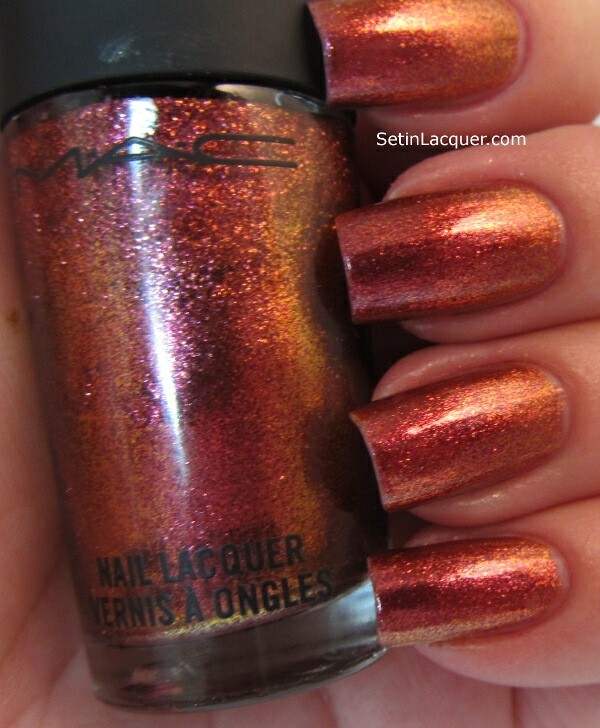 Labels: comparison, MAC, Nails Inc. I splurged on myself recently and purchased MAC Bad Fairy. I decided to use it tonight. All I can say is this little fairy is pretty awesome. I love this in the bottle but I love it even more on my nails. Shimmers of subtle orange and a gorgeous magenta erupt off of the nails and send prisms of fairy dust bouncing off my nails. The swatches below are with two coats and a top coat of Seche Vite. 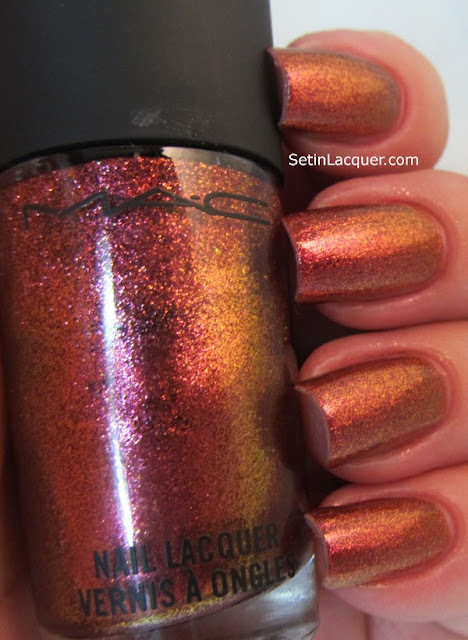 Bad Fairy is one of those elusive hard to find polishes. You can find it on eBay if you stalk it long enough.